A much anticipated study describing the distribution of Canine Degenerative Myelopathy (DM) across a huge spectrum of canine DNA covering 222 breeds has been released. 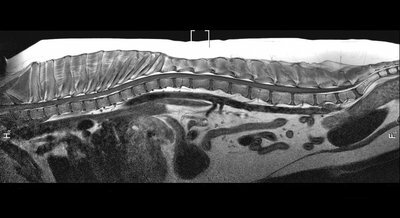 The genetic marker SOD1 alleles has previously been associated with the progressive neurological disease of Canine Degenerative Myelopathy. DNA samples from over 35,000 individual dogs representing 222 breeds and and cross-bred dogs were reviewed. Published in the Journal of Veterinary Internal Medicine, the study noted that the breeds with the greatest representation of the SOD1 gene included Australian Shepherd, American Water Spaniel, Bernese Mountain Dog, Boxer, Cardigan Welsh Corgi, Cavalier King Charles Spaniel, Chesapeake Bay Retriever, Dachshunds, German Shepherd Dog, Greater Swiss Mountain Dog, Jack Russell Terriers, Pembroke Welsh Corgi, Pit Bull Terrier, Soft Coated Wheaten Terrier, and Wire Fox Terrier. The dog breeds listed have a frequency of homozygous for SOD1 (affected DM) between 33-90%. This list is not complete and does not represent all breeds affected. The list represents DNA of dogs that were specifically submitted for DM testing. So if DNA from an entire family or group of Wire Fox Terriers or only those dogs that were clinically showing signs of DM were tested (and the rest of the breed was not surveyed), then the frequency is going to be skewed toward an artificially high number. The take-away: DM is not a disease of just German Shepherds or Chesapeake Retrievers; instead it is widespread and common among dogs. Breeding dogs that have a high incidence of DM represented by SOD1 frequency should be tested for DM to avoid producing homozygous progeny. 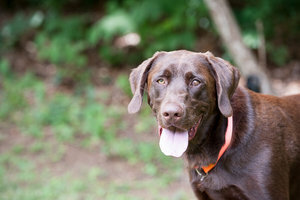 This testing is available through the Orthopedic Foundation for Animals. Normal T1-weighted mid sagittal MRI image showing the spinal cord, intervertebral disks and vertebrae. Both images provided by Veterinary Imaging of the Chesapeake.